Dubai is the city with the most intense urban development. All projects carried out in recent years have gigantic dimensions, suh as the Burj Khalifa, the world’s tallest skyscraper. 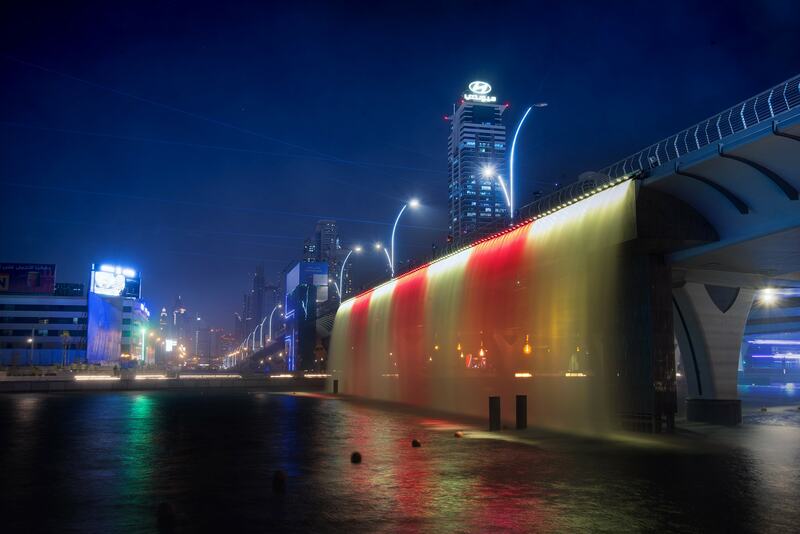 The latest project in chronological order – the iconic Dubai Water Canal – was inaugurated on November 9. A Usd 550 Million project, the 2.9 Km long Canal, linking Business Bay to the Arabic Gulf, is crossed by 12 meter high bridges. 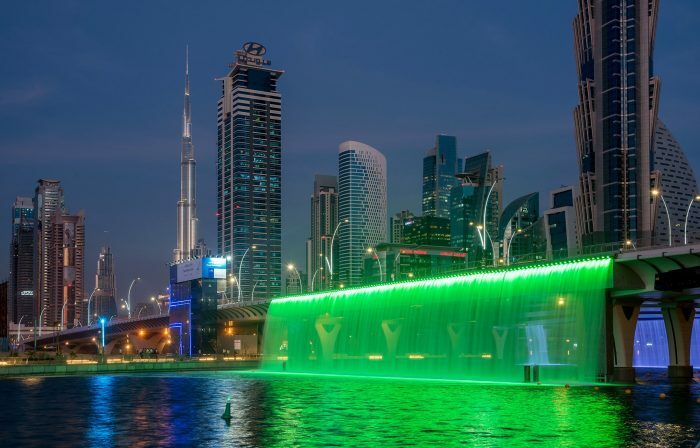 One of the main visual attractions of the complex is the giant 160 m water feature of the Sheikh Zayed Dubai, a technical marvel that turns at night the bridge into a waterfall shining with the eye-catching magic of dynamic color lighting, delivered by 240 HELIOS BRONZE FC units, made by DTS. 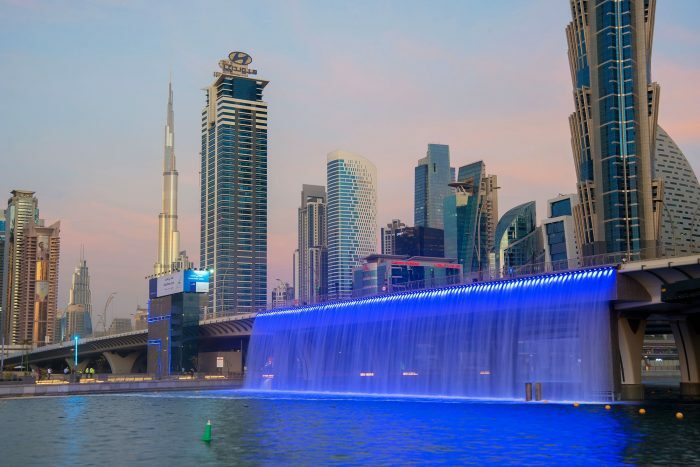 Magical Water Fountains, the company appointed by Road & Transport Authority of Dubai for this one-of-a-kind lighting project, chose the HELIOS BRONZE FC for its features that perfectly fit the demanding task: full IP68 protection rate; body made of bronze, to withstand the salt water environment; high quality RGBW color mixing with an endless palette of colors; extreme brightness. Philippe Aerts, CEO of Magical Water Fountains, said: “The goal was to create a water feature that put the Sheikh Zayed bridge in a scale never imagined before. The client request was to display a unique waterfall system not existing anywhere else in the world. At night, the bridge is starting an amazing illumination with smooth colors chosen by Road & Transport Authority.